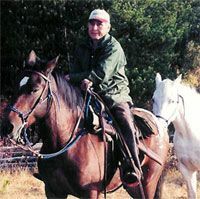 Friends of Nemaiah Valley is a non-profit society incorporated under the B.C. Society Act in December 2000. FONV was founded to preserve the Nemaiah Valley, the Brittany Triangle and the surrounding wilderness for generations. We are an all-volunteer society with patrons and supporting organizations far beyond the Nemiah Valley and outside the borders of our home province. There are now few who have not heard of the wild horses (a â��national treasureâ��) of the Brittany Triangle and the Nemiah Valley and of the Xeni Gwetâ��in FNG struggle to protect their homeland. The Brittany Triangle is the heart of B.C. 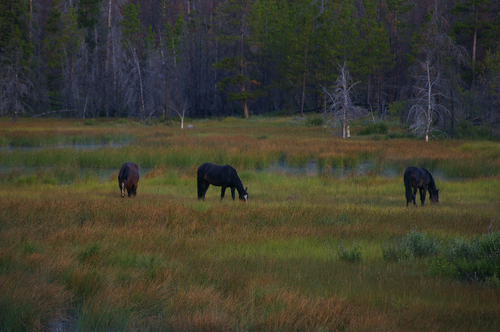 's wild-horse country and is located on the remote Chilcotin plateau. 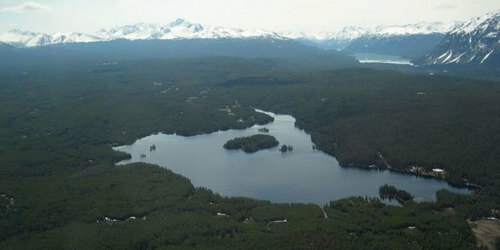 155,000 hectares of wilderness surrounding Brittany Lake and Brittany Creek, bordered by the Chilko River to the west, the Taseko River to the east and the Nemaiah Valley to the south. Friends of the Nemaiah Valley is extremely pleased to have played an instrumental role in the hiring of the first (as far as we know!) Wild Horse Patrol Ranger in Canada. The obvious solution is to have rangers who will provide surveillance and protection of the horses and other wild animals of the preserve. The Xeni Gwetâ��in First Nations Government and BC Parks have a joint management agreement which provides for rangers within Tsâ��il?os Park and Nunsti (Taseko) Parks, but this leaves the rest of the preserve unpatrolled. While FONV provides funding, the XGFNG administers the program and hires the ranger who will be their employee. Accordingly, in the spring of 2003 Harry Setah was hired. Harry was the original park ranger. He has the skills, knowledge and equipment to do the job. Harry watches over the horses and monitors their condition. He keeps track of numbers and make up of the various bands. 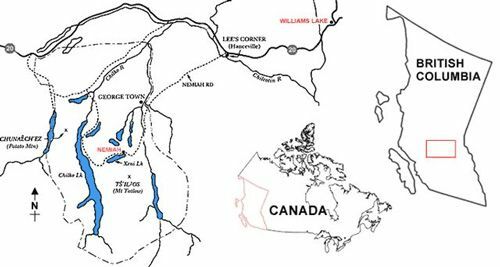 Nemaiah Valley, Ts!yl-os Provincial Park, and the ?Elegesi Qayus Wild Horse Preserve. 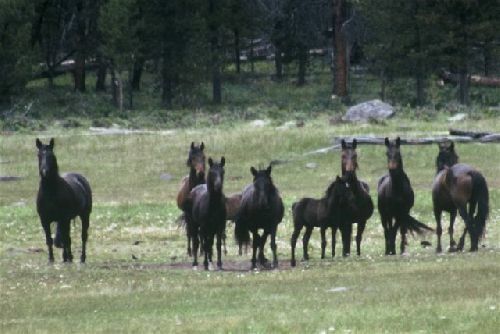 We engage in and support wildlife and other research in the ?Elegesi Qiyus Wild Horse Preserve / Aboriginal Wilderness Preserve. We believe that before any area is exploited for its natural resources those responsible for resource use should know as much as possible about the effects this will have on the land and its inhabitants. Impact assessments help give us answers as to what these effects might be. Consequently we strive to understand the area we help to protect using the advanced tools of conservation biology and ecoforestry in combination with all-important First Nations traditional knowledge. Beginning with the Preliminary Conservation Assessment of the Rainshadow Wild Horse Ecosystem we are now collecting data for a complete conservation assessment. This involves extensive habitat and wildlife inventory, trail mapping, and on the ground observations by wildlife biologists, technicians and rangers.